As Chairs of History Departments and Directors of History Centers in colleges and universities across Iowa, we are deeply committed to Iowa’s history. Preserving this history, helping our students to discover it, and bringing it to all Iowans – these are all essential parts of our mission. We firmly believe that history is a crucial part of the civic life of a democracy. 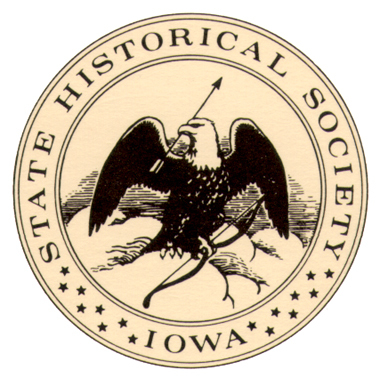 Since its founding in 1857, the State Historical Society of Iowa has been an integral part of that mission. The SHSI carries out many functions, but at the heart of any historical enterprise are the documents created by those who lived in the past. Those documents permit us to uncover forgotten histories, whether of a Civil War soldier, a pioneering homesteader, or a war bride who accompanied her GI-husband to his Iowa home. Without those documents, we cannot write the histories that Iowans so value as they visit historic sites, teach social studies classes in the schools, or tell stories to their children and grandchildren. And without those documents, historians of the United States have no choice but to write national histories that overlook our state. Over the last 150 years, countless Iowa individuals and institutions have entrusted their records to the State Historical Society’s archive in Iowa City. They did so with the understanding that their papers would be preserved and made available to future generations. The State has honored that trust by preserving those records and making them available to teachers, journalists, students, authors, public officials, genealogists, and people with a wide range of motivations for using the collection. People visit from all over the world to explore the archives, bringing economic activity to Iowa and global attention as they publish books and make movies about Iowa. Ken Burns’ team visited SHSI to research the PBS documentary “Jazz.” HBO documentaries on Wounded Knee and tennis star Arthur Ashe also tapped SHSI resources. The State Historical Society is known nationally as a pioneer in the collection and preservation of small-town newspapers, the lifeblood of any small community; and the Iowa Labor History Oral Project, which is housed at the SHSI, is considered the premier labor oral history collection in the country. High school student Stephen Frese of Marshalltown researched a son of emancipated slaves who became a prominent civil rights activist in early 20th-century His study won a national prize and was published in The History Teacher journal. Sonya Darrow of Cedar Rapids has written plays on Iowa’s rich theater culture that have brought Iowa history to schools and served as a basis for the State Speech contest. Jan Olive Full works for communities like Wilton in researching historic properties to qualify them for tax credit programs that help to preserve downtown Main Streets. Christine Green of Long Ridge took her junior high students to SHSI to prepare for the annual National History Day She won the 2009 National Teacher of Merit Award from PBS. Kenneth Nurre, born and raised in Bancroft, counts on the SHSI to preserve the history of his great- great-grandfather, one of the first European American settlers in Sugar Creek, Clinton Co.
Mary Wise of Iowa City is researching the development of Effigy Mound National Monument for her Master’s Thesis in public She also uses the collection in teaching at UI. Students of Catherine Stewart at Cornell College in Vernon developed online exhibits on the Civil War in Iowa, wartime propaganda, front porches in American culture, and the 19th-century photographer Isaac Wetherby. Hope Mitchell of Ankeny won an award for her ISU Master’s thesis on prostitution and the fight against it in late 19th and early 20th century She now has a contract to write a book on the East Village neighborhood of Des Moines. Stephany Hoffelt, who grew up on a farm halfway between Bellevue and Andrew, accompanied her grandmother to the SHSI to catalog the cemeteries in Jackson County when she was a While grandmother and granddaughter worked together, Stephany’s mother drew on SHSI papers to write a history commissioned by a local bank. Susan Ackerman of Allison, Carol Fejfar of Iowa Falls, and Terri McConaughy of Anamosa, like countless other Iowans, use the archive to research their family histories. Charles Connerly, who teaches Urban and Regional Planning at UI, is writing a book on the history of sustainability in Iowa. In making this kind of work possible, the state honors its commitment to our predecessors, and it enables us to draw on historical knowledge to plot our future. For that reason, we are deeply concerned about recent cuts and the uncertain future of the State Historical Society of Iowa. The SHSI has not been able to accession new materials since 2009, and its pioneering project of preserving weekly newspapers came to a halt in that same year. The Iowa City staff has dwindled from twenty in 2000 to only three professional staff today, one of whom will retire this summer. Most recently, its public visiting hours, like those of the Des Moines facility, have been slashed to three days a week, making research impossible for those who must travel to use the collections or who need to squeeze research around work, school, and family duties. Periodic re-assessment of collections is a standard part of archival practice. If a facility is adequately staffed, however, re-assessment need not come at the cost of service to the public. Most importantly, any re- assessment must result in strengthening the ability of the institution to carry out its mission. The records held in the SHSI are irreplaceable. Because of their fragile state, they can be destroyed as easily by neglect as by a bulldozer. And they are useless unless they are open and accessible to those committed to writing Iowa’s history. Iowans care deeply about their history. Please help us to preserve it by fully supporting the State Historical Society of Iowa.